June | 2009 | Through the seasons before us..
Hopefully not the last time I get to use that headline – but Forest are about to post on their site that we’ve signed Anderson. The Nottingham Evening Post are suggesting for as little as £250k – which is an absolute steal! Another former loan-club Swansea were also chasing his signature. Despite having a torrid time with injuries, Ando made 28 appearances for us last season – and despite only snagging a couple of goals, our results with him in the side were generally better than without him. A tireless worker and prepared to do the dirty work – not to mention play on with a cast on whilst his arm was recovering – this is our most exciting signing yet, I think. Great to have him back, a busy couple of days for the Reds in terms of signings – it also makes the £1m price tag for McGoldrick seem easier to swallow – as £1.25m for the pair looks like great business to me! Oh, and as I type this, the official site has been updated (and almost used the same headline as me!). He’s signed a three year contract, and this news has cheered me up immeasurably in preparation for an afternoon of fairly dull meetings! Welcome back, Paul! (He also looks a bit like that bloke Andy Murray was playing at Tennis yesterday, I notice, as I look for a picture of him!). 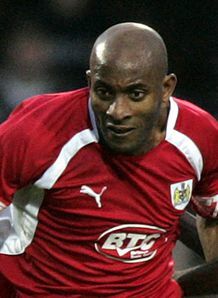 There are tribes in the Amazon rainforest, as yet untouched by what we call civilisation, who knew that we were signing Dele Adebola on a free transfer from Bristol City. Forest finally feel able to announce this news today, further bolstering our strikeforce after yesterday’s capture of David McGoldrick from Southampton. If you’d asked me part way through last season about us signing him, I would probably have been less than impressed – however I thought the frontman put in a cracking performance against us for Bristol City last season, and gives us the physicality we’ve lacked up front for a while now – so as long as it doesn’t herald the beginning of long ball football (and it didn’t for the Robins, so why should it for us?) then I’m not unhappy with the free signing. 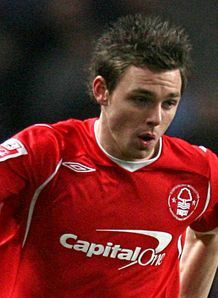 He will sign a two year contract – one year more than City were prepared to give him – tomorrow when the transfer window opens, when Forest are also expected to announce the £750k capture of Paul Anderson from Liverpool – which is a tremendous coup, and one I’m really pleased about. There remain question marks over the competition we seem to be facing to sign Mills from Doncaster, as well as Rovers’ chairman not exactly appearing to want to do business – since the Jones rumours have gone quiet, rumours of us talking to Blackpool about securing the services of Shaun Barker. Welcome on board, though, Dele – deployed correctly you will be a potentially exciting new dimension to our attack. We’ve only gone and signed someone! The gossip-mills have been circulating for a while, and indeed, continue to suggest that deals have already been done – but today Forest have confirmed that David McGoldrick has sealed his move to us from Southampton for a seven-figure fee. McGoldrick is a Nottingham-born lad and spent time over the river with the Magpies before ending up down south (with loan spells at Bournemouth and Port Vale before breaking into the Saints team). I expect a stream of announcements this week, with probably Anderson next as it seems to be common knowledge we’ve agreed terms and a £750k fee with Liverpool for the pacy winger. Indeed, it does make £1m (or more) for McGoldrick seem a bit pricey, although he’s been a fairly long-term target for us, so it’s good news on that front to have landed him. So some great news, and a bit more reason to start scanning the news feeds with a little bit more optimism, perhaps! Rumour: Signings on the way..
Whilst the world has been consumed with talk of the untimely demise of Michael Jackon, I’ve been keeping my ear to the ground and some of the white noise of endless whispers and rumours are starting to become a little more discernable than others. Having chatted with a few folks it would seem that a lot of the rumours doing the rounds regarding agreements with players are indeed factual. I have absolutely no idea why Forest are apparently sitting on their hands and not releasing information, I’m assuming finalisations need to be happening or something, since tomorrow is the deadline for season ticket renewal I would’ve thought ideally an announcement before now would have been preferable for them. That said, I took the plunge and renewed mine earlier today, despite the lack of news! So, unfortunately I can’t say who I’ve been talking to – but what I have heard is consistent with rumours elsewhere regarding eight ‘confirmed’ incomings, one of them from Liverpool (I wonder who that could be? ), one from Brighton (with Thornhill going on loan there, it would make sense, wouldn’t it? – strengthened by news of Joe Heath going out on loan yesterday). The other snippet was a loan signing, with no other detail than that – there’s been endless speculation about loan targets already – so I shan’t add to it or try to pick a name! As for the supposed other five signings, well, I have no idea – we do need them though, so let’s hope to actually have some concrete news to write about soon rather than rumour-peddling. Given the gargantuan size of the list of players we’ve been linked to, it would be churlish to speculate although much of internet-land still seems pretty certain that Adebola has been a done deal for weeks (if that’s true, why not release that information?! ), which leaves four more slots to fill. Billy will want to get stuff sorted soon before pre-season begins a-proper. 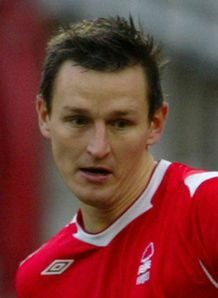 In the world of confirmed news, some good news for former skipper Ian Breckin, he’s agreed a two year deal with former club Chesterfield, turning down moves to Burton and Walsall to team up with another former Red (just!) John Sheridan. Good luck to you, Brecks. Chesterfield is rapidly becoming a team of Forest cast-offs! Fixtures, goodbye Pembo and scummer jailed.. The fixtures have lured me back onto the internet – Bradford in the cup isn’t the most inspiring, but of course today’s release of the league fixtures is always going to pique our interest! For the first time in ages we start and finish away from home, but firstly a few other things. John Pemberton has departed the Reds, and I’d like to wish him well – I don’t ‘know’ any of the Forest staff but he always struck me as a diligent man of integrity, and of course his time as a caretaker manager last season was incredibly successful – so thanks for your hard work, John, and I – and I’m sure all other Forest fans – wish you all the best for the future. Also the chap who vandalised the Brian Clough statue in Nottingham has been jailed. Good. So, on to the fixtures. The Football League are incredibly uppity about people reproducing their fixture lists – so whilst I probably wouldn’t have done anyway, I legally can’t. Obviously the eye is drawn to fixtures against Derby – we start off at home this time at the end of August, playing the return fixture in the badlands at the end of January. Newcastle are the other opponent that most seem to look out for – they visit us on 17th October, our trip to St. James’ Park on 27th March. You can browse our fixtures in full on the BBC website (predictably the Forest website is yet to be updated with them as I type!). Makes it seem somewhat more real, doesn’t it? Now we could just use some nice positive transfer news to engender a bit of optimism!